Rochelle Ritchie, who received a tweet from the wanna-be bomber, got the Media Matters memo and blames Trump for the bomber’s “embolded” actions. I’m so glad I don’t use the Twitter platform anymore. Just garbage and bias there, day in and day out. From Hollywood Reporter: Twitter is apologizing for refusing to take down a threatening tweet that pipe bomb suspect Cesar Sayoc sent to a former Democratic congressional press secretary earlier this month. 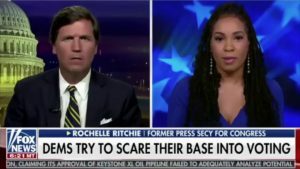 The tweet that Rochelle Ritchie complained about said “hug your loved ones real close every time you leave home.” She got it after an appearance on Fox News, and complained. Twitter responded on Oct. 11 that the tweet did not violate its rules against abusive behavior. On Friday night, after Sayoc’s arrest for allegedly sending at least 13 mail bombs to prominent Democrats, Twitter issued a statement saying it had made a mistake. It said it was “deeply sorry,” that the tweet clearly violated its rules and should have been removed. The company had by then disabled Sayoc’s account. This entry was posted in crime, Donald Trump, Fear Mongers, Liberals/Democrats/Left, Media, social media, Trump Derangement Syndrome, United States, US Presidents and tagged Cesar Sayoc, Rochelle Ritchie, Twitter. Bookmark the permalink. Twitter? What’s a Twitter? Is it like Fakebook where you update every move and fart like the world cares? Is it what those braindead zombies are staring at every fifteen seconds on their stupid phones as they search for confirmation in the echo chamber. As usual, the left takes every opportunity to silence and control people. They are losing and they are desperate. Also, gab.ai is being taken down because of that shooting yesterday. Does anyone know if there was something “jiggy” with that incident? My time is spent in important matters and so valuable to waste it in nonsense. The narrative must be controlled. Carefully. The MSM wil broadcast these fabricated crisis’ to insure the sheeple are ‘informed’ of the evil on the right. Twitter and the other social media platforms aren’t sorry that Gab.Ai got banned, though—despite the fact that they reported Bowers to the police and FBI as soon as they heard the news. It’s fascism with a twist: Instead of the King banning speech, his corporate lackies do it for him—after all, competition is a sin! And the sanctimonious superciliousness is slitheringly saccharinely and serpentinely sickening! What is the big plan of the neo-Bolsheviks should they succeed? Enrich themselves and their cronies while eliminating the deplorables and destroying a functioning representative republic and free market economy forever. At least we know who our mortal enemies really are. They have taken off their masks, and can no longer hide their malice. The Twitter NAZIs are much too busy killing the accounts of REAL conservatives to bother with the insane ramblings of a fake one.